What’s that? You haven’t been watching the quarterfinal round of the Italian League’s playoffs? No problem: BallinEurope’s man in Italy, Enrico Cellini has – and he posts today about just what you’ve been missing, namely two cliffhanging, nail-biting finishes that finished off Virtus Bologna. (Ironically and mournfully, BiE notes Bologna’s elimination as dated the same as Kobe Bryant’s 2011-12 Los Angeles Lakers.) Cellini promises that the videos are the centerpiece and so those looking for classic buzzer-beaters need search no further than below the break. Saturday, May 19. Game two of Italian Serie A playoffs first round, best-of-five series. 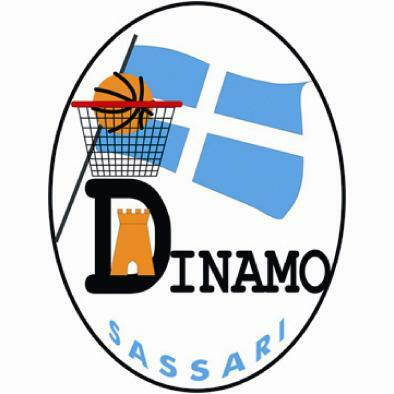 0.86 seconds left in overtime, Banco di Sardegna Sassari is down by one at home against Canadian Solar Virtus Bologna. Sassari leads the series after winning game one at home, and needs to defend again home court advantage before moving on to Bologna, where Virtus has proven very solid during the regular season. Sassari calls a timeout and get to move the inbounds pass over midcourt. Monday, May 21. The series goes back to Bologna for game 3 with Sassari leading 2-0. Virtus Bologna discloses that the trip back to Sassari for the still-hypothetical game 5 has already been scheduled and organized. (Think this is an overconfident – not to say cocky – move? Always bear in mind that Virtus president Claudio Sabatini tried to bring Kobe Bryant to Bologna seeking intercession by the White House in a letter Sabatini wrote to US president Barack Obama. Sassari is down by 2 but has the ball to win the game and the series with less than 20 seconds on the clock. Former Milwaukee Bucks/current Bologna forward Chris Douglas Roberts rejects Quinton Hosley, landing the ball out of bounds by the baseline. Only 0.53 are left on the clock. Sassari’s coach Meo Sacchetti asks the referees if there is enough time for a catch-and-shoot. The officials might have recalled when Derek Fisher won a series against San Antonio with a catch-and-shoot at 0.4, and gave Sacchetti permission to draw up the winning inbounds pass for veteran Manuel Vanuzzo. So there you have it: Three days, two games, two narrow escapes for Sassari and Virtus Bologna is out of the playoffs. Serie A: Where buzzer-beaters and bad karma happens. Enrico Cellini is lifelong basketball fanatic and a long-time sportswriter with a focus on Italy and Spain. He was born among European hoops, was raised watching the NBA, and thinks choosing between American and European basketball is like choosing between one’s mother and father. You can follow him on Twitter or check out his Italian-language blog Hoop Addicted.